Rainy days are fun, but often only as long as you're safely indoors—preferably while you're lounging in the comfort of your own home with a tea in hand and a good book nearby. However, if you absolutely need to brave this tricky weather, your shoe choice might be your biggest concern. Rain boots are of course key, but they don't always earn high marks for both style and protection. The brands ahead are the exceptions. 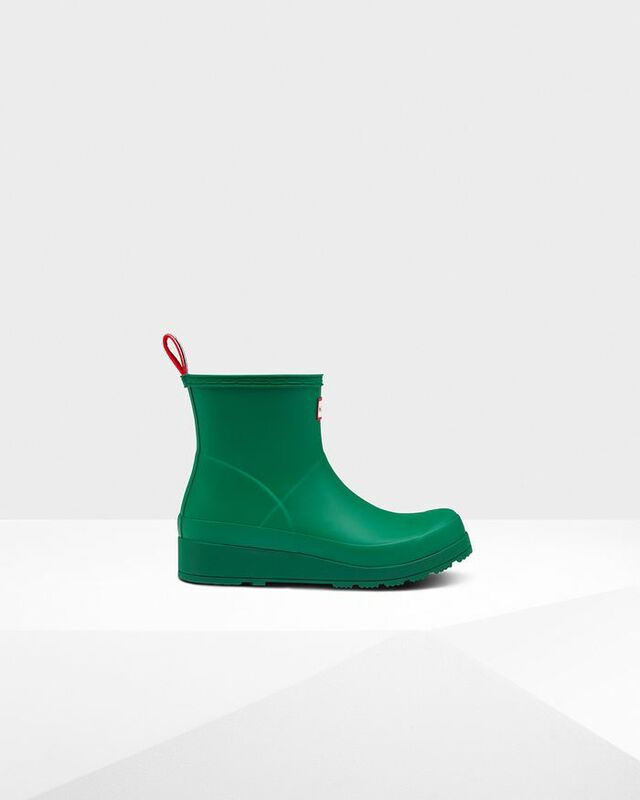 They create rain boots that are not only highly practical but also downright chic, so the next time your weather app shows you clouds and rain, you'll be more than ready. Okay, now let's shop. Sure, go for the green. BRB, wearing these boots rain or shine. These will look so good with all your midi and maxi dresses. It's time to give heeled rain boots a try. Your favorite white-boot trend, with a practical and functional twist. The perfect heel size to take a rainy day by storm (pun intended). The lacing in the back adds a simple and stylish pop to your rainy-day attire. Deep puddles won't have anything on these bold boots. We all need a pair of rain boots that are just as flexible as our daily activities. Who says you can't wear suede in the rain? For those snowy and slippery wet days. Strut through the rainy city streets with confidence in this red pair. How pretty is this glossy texture? Let your socks stand out on a rainy day. Or simply let your boots be the socks, too. If you like chunky sneakers, you'll love these. Black booties that double as rain boots. Definitely the best of both worlds. Stylish (and dry) comfort, all in one pair of boots. With these boots, splashing through puddles doesn't sound half bad. And to think some people are under the impression that all rain boots look the same. Shiny in all the right ways. For the not-so-faint of heart.